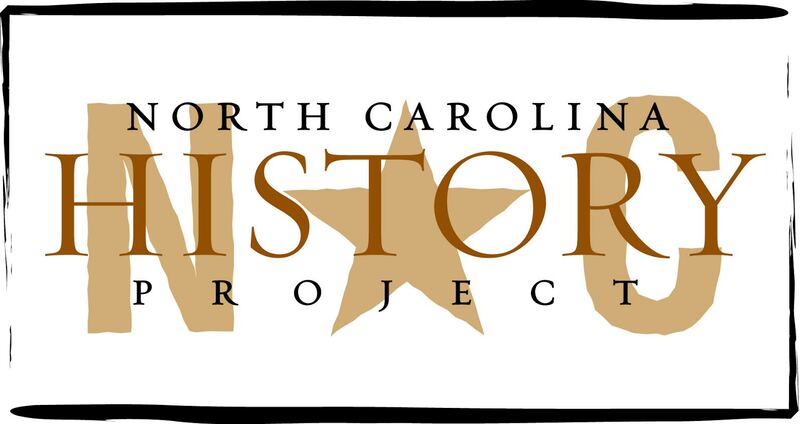 William Hooper, son of a Loyalist, moved to Wilmington and became one of three North Carolinians to sign the Declaration of Independence. Image courtesy of the North Carolina Office of Archives and History, Raleigh, NC. A representative of North Carolina at the signing of the Declaration of Independence, William Hooper was born on June 28, 1742, in Boston, Massachusetts. His Scotch immigrant father, also named William Hooper, was initially a Congregationalist minister but converted to the Anglican faith five years after his arrival in the colonies. Reared in an Anglican household, the young Hooper’s parents wanted him to enter the clergy. Refusing to do so, young William matriculated at the Boston Latin school for seven years and earned an M.A in theology from Harvard University. He then moved to Wilmington, North Carolina and eventually supported American independence. His Loyalist father was displeased and disowned his patriotic son. Hooper went on to study law under James Otis, a published political radical. Hooper eventually married Anne Clarke, the daughter of an early settler to the area. They had three children: a daughter and two sons. The family remained in the Wilmington area, because Hooper had established a professional network, developed a wealthy clientele, and served as a circuit judge. The increasingly popular Hooper was appointed Deputy Attorney for the Salisbury district in 1769 and later Deputy Attorney General for North Carolina in 1770. Hooper supported Governor Tryon when the Crown put down the Regulators, commonly referred to as backwoodsmen. These Piedmont farmers opposed excessive colonial government taxation, excessive legal fees, and corruption—a charge levied against Edmund Fanning, clerk of court for the Salisbury district. Taxes for the construction of the Tryon Palace in New Bern especially enraged the Regulators, who deemed an ostentatious palace as unnecessary and a symbol that the colonial administration cared more for pomp and circumstance than about the backcountry’s economic needs. After years of legal and extralegal protests and demands for regulation, the Piedmont farmers engaged Tryon’s troops on a field near Alamance in 1771. In the 1770s, Hooper’s political influence increased even more. In 1773 he was elected representative for the Scots settlement of Campbellton (later called Fayetteville). He then went to the Colonial Assembly serving New Hanover County and was soon appointed to the Committee of Correspondence and Inquiry. He was unanimously elected recorder of the Cape Fear region in June 1776, and one year later became the Deputy Attorney General of the Salisbury District. No doubt his political success encouraged the political success of his son, also named William, who represented Wilmington in the North Carolina Colonial Assembly from 1773-1775, a time when the Assembly attempted to increase the powers of the courts. The Act included a provision authorizing the Assembly to confiscate colonial property owned by foreign debtors, including that of the British. When the Colonial Governor vetoed the Bill, William Hooper supported Tryon and the Crown against the Colonial Assembly. However, as a result of his support for the Crown at Alamance, his success was short lived. He was dragged through the streets of Hillsborough and his home destroyed. (Whether these experiences started his evolution from a Loyalist to revolutionary is not clear.) Even so, he helped organize a conference in Wilmington after the Royal Governor dissolved the Colonial Assembly and assisted in establishing a new Colonial Assembly more favorable to the Crown. By 1774 he had established his bona fides (information that establishes one’s credit or honor) and was appointed one of North Carolina’s three delegates to the first Continental Congress. With Thomas Jefferson, Hooper then served on a committee to draft the Declaration of Independence, but private affairs prevented his attendance when the document was approved; he later signed it on August 2, 1776. In support of American independence, he donated his fortune and future professional income as a lawyer. When he entered the Second Continental Congress, he opposed British rule. While members of his family remained Loyalists he was appointed in 1776 to a committee with Benjamin Franklin and Phillip Livingstone, a signer of the Declaration of Independence, to honor General Richard Montgomery, who had recently fallen at Quebec. Hooper left Congress, however, when he contracted yellow fever in 1777. His participation in the struggle for independence included his service with the General Assembly until 1783; he was still a member of the Continental Congress and used his legal expertise in helping establish a state government. As a result of his changing loyalties, the Crown decided to "educate" Hooper so that all rebels would understand the consequences of their actions. His plantation, Finian, on the Masonboro Sound was destroyed. Suffering from malaria and a badly injured arm, and fleeing from home to home, Hooper soon found refuge in Hillsborough, where he was able to serve as a state legislator. After independence, Hooper pursued a conservative, or federalist, political ideology, which many disagreed with. As per the treaty ending the war, he forgave loyalists and protected their rights even when a majority in his jurisdiction wanted revenge; the fact that the British reneged on their obligations only made matters worse. Plus, his aristocratic status and fear of mob rule fostered distrust among average Americans. His adherence to the letter of the law also angered many. As a result, the average American Democratic-Republican mistrusted him in 1787, when he promoted state ratification of the federal constitution. He was appointed a federal judge in 1789 and served for one year, before his bad health forced him to retire. He died shortly thereafter on October 14, 1790 at the age of forty-eight. His wife died in August 1795. They were initially interned in Orange County, North Carolina. Edward J. Cashin, William Bartram And The American Revolution In The South (Columbia, 2000); John, Frehling, A Leap In The Dark: The Struggle To Create The American Republic (New York, 2003); Robert Charles Knief, “ William Hooper, 1742-1790, Misunderstood Patriot” (Ph.D. diss., Tulane University, 1980); William Powell, North Carolina: A History (Chapel Hill, 1988); Edward C. Quinn, Signer Of The Constitution Of The United States (New York, 1988); Phillip Roth, Masonry In The Formation Of Our Government, 1761-1799 (New York, December, 2005); “William Hooper, Signer Of The Declaration of Independence," http://www.virtualology.com/williamhooper.net (accessed 12 June 2006).